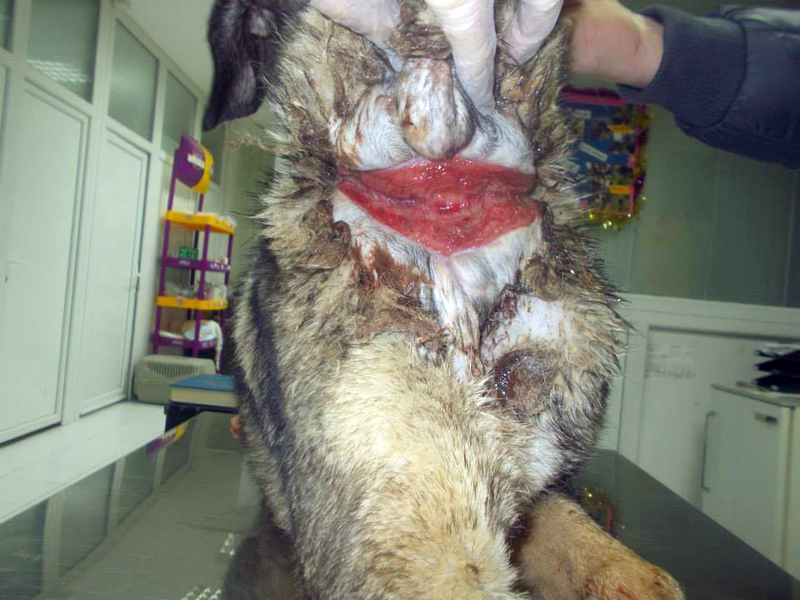 Yet another case of appalling animal cruelty in Bosnia Herzegovina. Yesterday this dog was spotted from a car by accident. 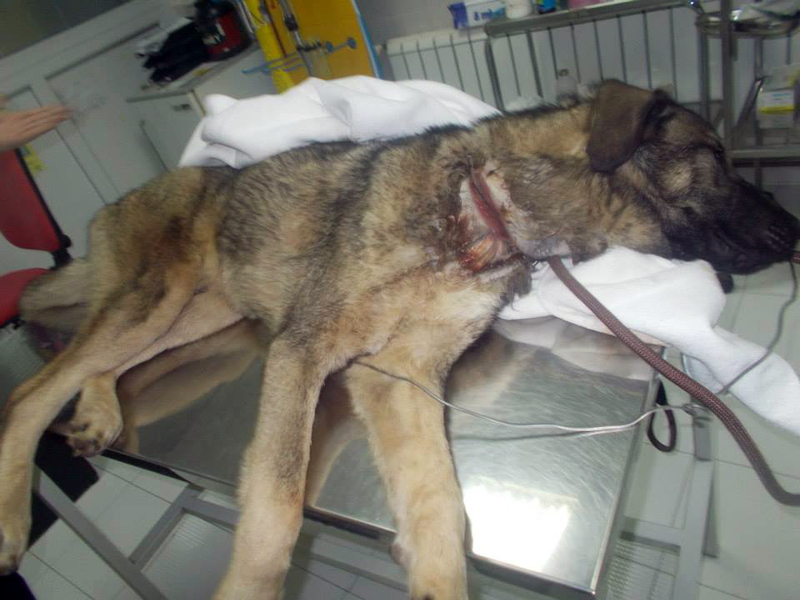 Animal welfare charity Andjeo Sarajevo saw a wire around his neck. This poor dog passed by thousands of people on a busy street in Hrasnica, Sarajevo, and of course no one paid any attention to him, he’s a big enough dog but they acted like he didn’t even exist. Andjeo Sarajevo stopped and saw the same thing they had seen a little while ago with Faith. A tight wire deeply sunk into his neck. The photos show a lot more. The wire was very deep inside the flesh. 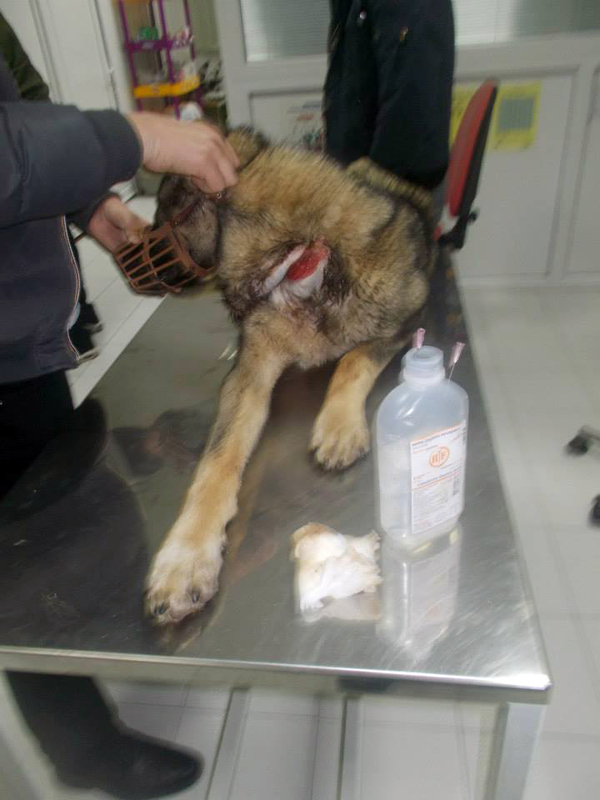 It was successfully removed and the wound cleaned, and the dog is still at the clinic. We have named him Fidel. Soon we’ll know more. According to the vet, Fidel needs to have an X-ray in order to see if his oesophagus has been damaged. If it is damaged, it’s probably best to end his suffering. 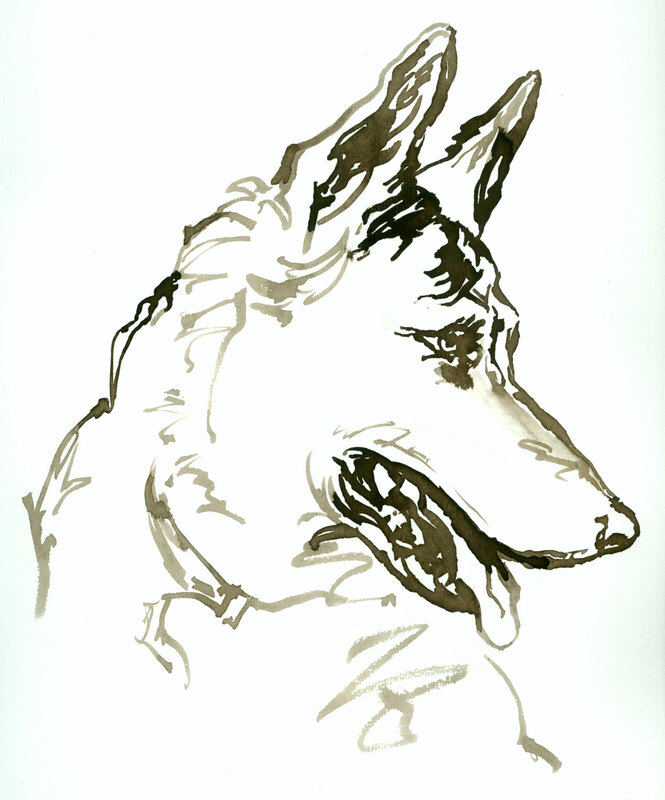 He’s a medium sized dog, his head is similar to a Kangal dog. This morning the vet said that Fidel is eating well, and he doesn’t have problems when he eats. So far all 4 vets in the clinic say that it’s important to give him a chance, and that he is very cuddly and friendly with people, after all this… The vet also stated that if Fidel hadn’t been found, the wire would have permanently embedded into the dog’s neck doing terrible harm. Fidel almost definitely has a chance to live, but it’s going to take a lot of time and hard work. If you can help Fidel, please follow the donation instructions below, and mark your donation for ‘FIDEL’. 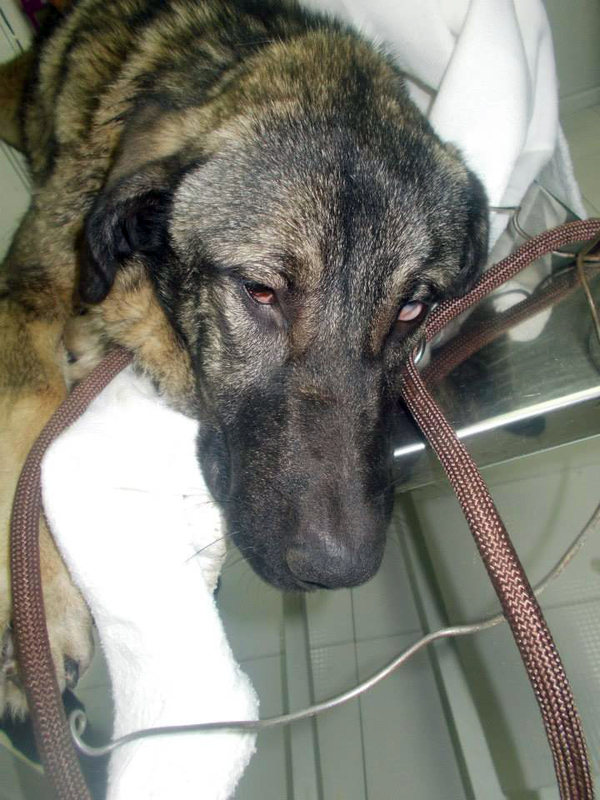 UPDATE: Fidel is now entirely well, but he is still in pension in Sarajevo. He desperately needs a home! 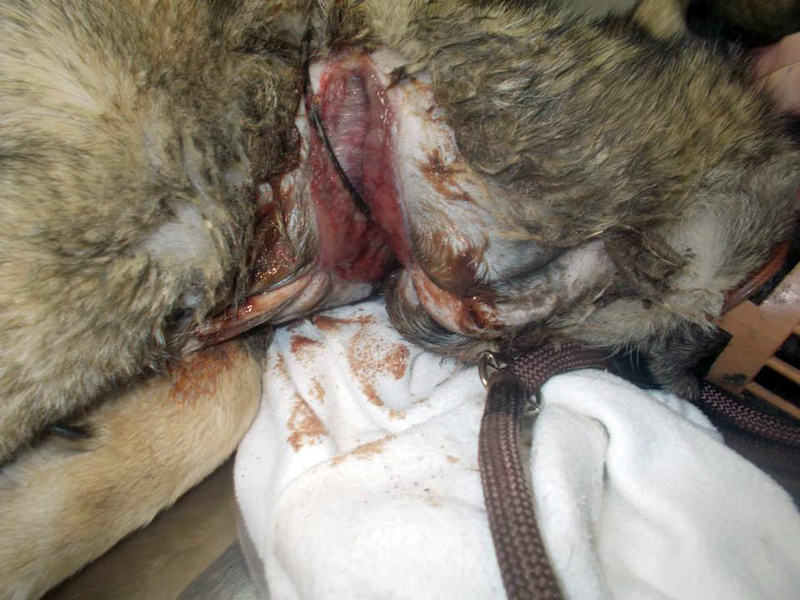 This entry was posted in Dog abuse, Fundraising, Urgent - dogs needing help and tagged wire by Sandra Jensen. Bookmark the permalink. I ask myself when will this heartrending,heartbreaking cruelty stop,it has gone on for too long c is nothing more than sick,ignorant brutality.